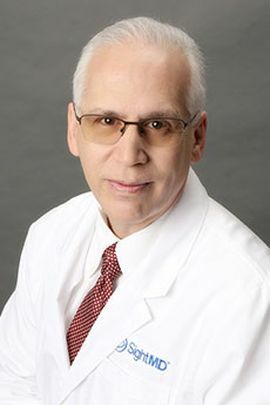 Glenn D. Scibilia, MD has been a practicing Board Certified ophthalmic surgeon on Long Island since 1995 and is a partner at SightMD specializing in Advanced Laser Cataract surgery employing the latest in cutting edge Intraocular Lens technology. He is Fellowship trained in cornea and external diseases, contact lens related issues, Laser Vision Correction and Dry Eye Syndrome. He earned his Bachelorâs of Science degree in Microbiology at Purdue University. He continued on working towards a Masterâs degree in Molecular Genetics at CW Post â L.I.U. Dr. Scibilia completed his medical school education from New York Medical College. He went on to his Internal Medicine residency at New Rochelle Medical Center, New Rochelle, New York. Dr. Scibilia preformed his Ophthalmology residency through New York Medical College where he served as chief resident in his senior year. He continued his training as a fellow in Cornea and External Diseases at The University of Connecticut, School of Medicine, Farmington Connecticut. Where he also served as a Clinical Instructor responsible for providing lectures to both medical students and residents, as well as writing research papers which were presented at national forums.